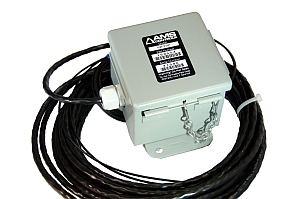 AMS Controls uses highly accurate photo-optic switches for hole and edge-detect pick-ups. Each photo-optic switch uses an NPN output and the user can select between “light” and “dark” mode, depending upon the application. Please note: the Fiber-Optic Switch is intended for lower-speed applications. For high-speed applications, please use the High-Speed Fiber-Optic Switch.